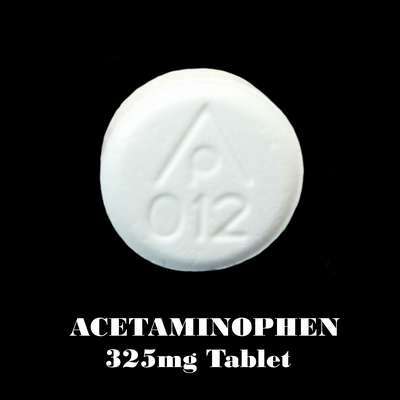 Acetaminophen 325 Mg by Nucare Pharmaceuticals,inc. is a white rou tablet about 8 mm in size, imprinted with ap;012. The product is a human otc drug with active ingredient(s) acetaminophen.